Welcome to Jake Peacock's MWOY Fundraising Page! In the days and weeks leading up to November 2014, my mother Jeanne Potts knew that something was wrong, and given her background in women’s health as a nurse practitioner, and now a Doctor of Nursing Practice, she was certain of what the news would be. In the days to come her fears were confirmed with the diagnosis of breast cancer. The next 3 months & the recovery period that followed proved to everyone what our family has always known, that I have the strongest mother in the world! On the day of my mother’s double mastectomies and reconstruction surgery the feeling of being helpless to the fight was never-ending. I didn’t know it then, but almost exactly 3 years to the day of mom’s cancer free diagnosis on February 23, 2015, this would be my time to fight at the urging of my good friend Steven Sullivan. Steven asked me to be a part of his “Martha’s Son Makes a Run” MWOY campaign last year on the heels of his mother’s bout with acute myeloid leukemia (AML). We are very blessed to say that Martha Sullivan is still in remission, but so many are not fortunate enough to make it to any stage of recovery. On behalf of my mother, Martha Sullivan, and the millions of people that are currently living with, or are in remission from, a blood cancer or other forms of this terrible disease I want to make a meaningful contribution and commitment to the science and research that ultimately goes towards finding a cure. 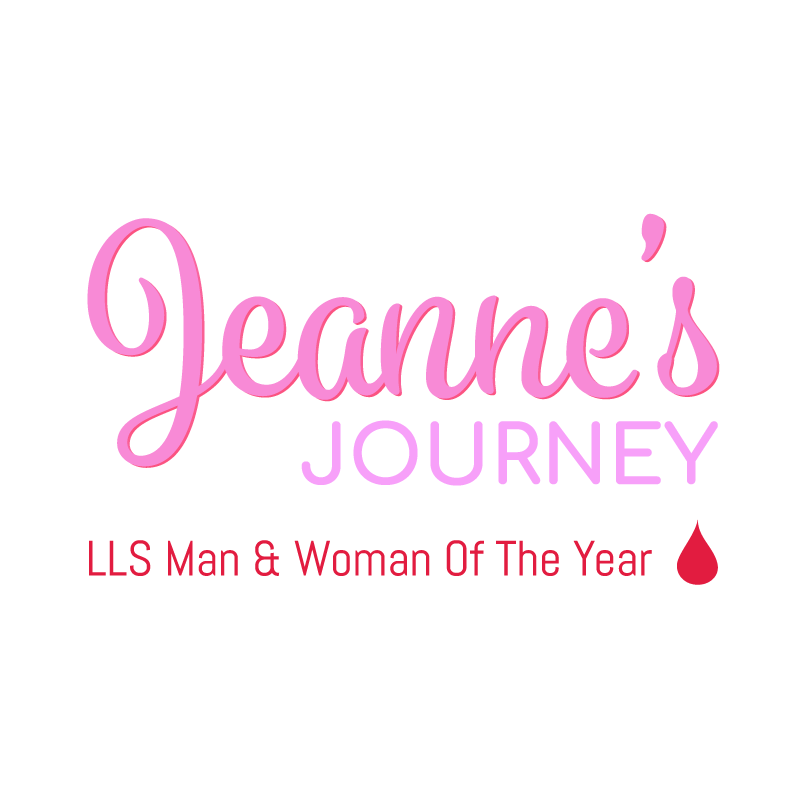 While each candidate’s goal is to become LLS’s Man or Woman of the Year, which would be a phenomenal outcome for Jeanne’s Journey, my main goal is to raise as much money as we possibly can over the next 10 weeks. All hopes are that we can achieve the $50,000 mark to have a research grant named in honor of Jeanne’s Journey. I have until May 19th, 2018, to raise that indefinite amount and I hope that you will join me on along the way. Join us on Jeanne’s Journey by visiting my donation page, https://pages.mwoy.org/in/indy18/jpeacock, and please know that NO DONATION IS TOO SMALL OR TOO LARGE. As you finish reading this letter, know that at least one individual will be diagnosed with a blood cancer, but LLS has made tremendous strides in the fight against blood cancer since its founding in 1949. Though donations and campaigns like this one across the country, LLS has been able to invest more than $1.2 billion in treatments specifically targeting leukemia, lymphoma, Hodgkin’s disease and myeloma.